God does not always have to tell you what He has in mind when He instructs you to do something. God expects you to know that He is good and He has only good plans, even if His request seems a little odd or difficult. In our passage today we read of the rich young ruler who wanted to be perfect. 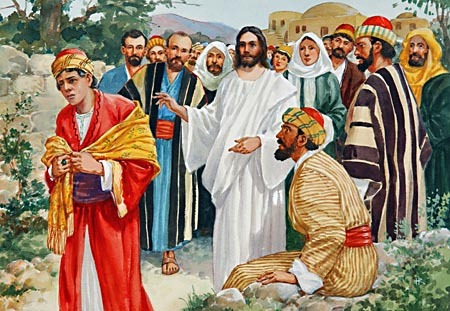 Jesus simply told him to go and obey the commandments. The young man said he has been doing all these since he was a child. Jesus then threw him the consecration challenge. “You lack one thing: go, sell all that you have and give to the poor, and you will have treasure in heaven; and come, follow me.” The bible tells us the young man went away sorrowful because he had great possessions. Honestly, the request the Lord made on the surface looks really severe and extreme and I don’t know many people today who would gladly do that. But if you are walking with a knowledge of God and His goodness; If you know that God will never owe you anything; If you understand that what you give up can never compare to what He has in store for you, then it becomes easier to consecrate and obey. Bible expositors have told us that it is possible that Jesus was looking to use this young man to replace Judas Iscariot. Judas was the treasurer. So it makes sense. But let’s stretch this a bit further. If he became one of the Apostles of the Lamb; One of the twelve. He would have an eternal throne in heaven with the other eleven. Here he is a temporal ruler, there he would have a ruler-ship that will never end. I really don’t know of any greater position any human being can ever attain, that can be higher that those 24 thrones before the Lord. What an honour. What a reward! What is your consecration test? Will you pass it? Will you go higher with the Lord? Will you consider the eternal significance of your temporal decision? Such an encouragement! Thank you PCA!